IT might be hard to top R&B in 2012, when Frank Ocean’s beautiful Channel Orange made a splash and Miguel’s Kaleidoscope Dream rocketed up the charts but 2013 certainly didn’t disappoint either. With electronic dance music’s cachet growing by the minute, it was hardly a surprise that pioneers Thomas Bangalter and Guy-Manuel de Homem-Christo, better known under their collective name as Daft Punk, will be right on time with their Random Access Memories album. Beyonce’s performance became the second most-watched Super Bowl Halftime Show of all time, right behind Madonna in 2012, and made it clear that Beyonce dominates every stage she touches. For the master rapper and perennial bad boy Eminem, 2013 was mostly good. The release of The Marshall Mathers LP 2 drove the second highest first week’s sales of the year, topping the album chart with 7,92,000 copies and breaking the million unit mark in its second week of release. 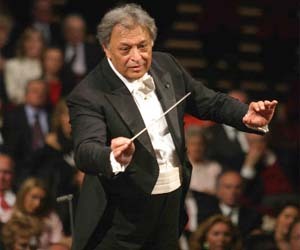 On September 7, western classical music maestro Zubin Mehta transported Kashmir’s music into the global spotlight as the Bavarian State Orchestra enlivened the Shalimar Bagh with tunes of the Valley’s own Habba Khatoon as well as Beethoven, Haydn and Tchaikovsky, making it one most of the most historical music events of the century. Both Mehta and Orchestra reportedly renounced their usual fees for this concert. The Electronic Dance Music explosion kept blowing up thanks to artistes like Disclosure and Avicii, and old-school titans like Eminem and Pusha T pushed hip-hop forward alongside new-school innovators like Chance the Rapper, Earl Sweatshirt, J. Cole and Danny Brown. As David Bowie was presumed semi-retired following a 2004 heart attack, on his January 8 birthday, Bowie, who turned 66, unveiled a stunning new album, The Next Day, demolishing any rumors of his declining musical vision. Underground Rap marked a good presence in 2013. Action Bronson released an EP with Harry Fraud and the long-awaited sequel to his Blue Chips opus, while Kevin Gates dropped two official releases with a shortened version of The Luca Brasi Story and Stranger Than Fiction, and notably Starlito and Don Trip exceeded expectations with Stepbrothers 2. 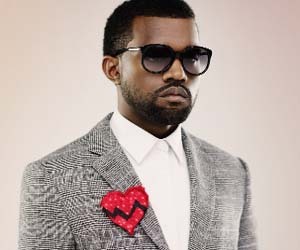 2013 was a big year for Kanye West as well, as he kept busy selling the brilliant album Yeezus, performing at sold out concerts and playing a doting dad to North West. In a year notable for a bumper crop of new releases for major divas, bright Kiwi singer-songwriter Lorde catapulted to chart dominance with one of the year’s best tracks. And adding to the girl power, in July, Forbes, which previously named Lady Gaga on its list of the world’s 100 most powerful women, gave her the top berth on the magazine’s list of the top-earning celebrities under 30. Phil Collins, the Oscar and seven-time Grammy Award-winning musician and former Genesis drummer, has announced that he will be returning to music despite declaring his retirement in 2011. 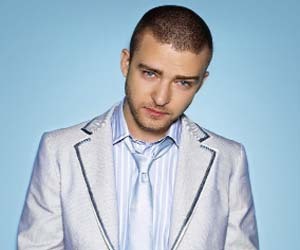 Also Justin Timberlake returned to music with elegant aplomb, kicking off his new full-length, The 20/20 Experience: Part 1 with a hit-single collaboration with Jay Z on Suit & Tie. Original drummer and co-founding member of Sum 41, Steve Jocz, announced his departure from the band, while Brian Welch returns to Korn after an eight-year absence to record a new album with the band. Robin Thicke’s embrace of R&B enabled him to build the most significant success for a white male R&B artist since George Michael. With this year’s new album and lead single, Blurred Lines, Thicke’s playful signature beats sparked by an anthemic chant that nods to Marvin Gaye and the interplay of T.I. and Pharrell. Miley Cyrus’antics and her new avatar helped her stay in the headlines throughout the year. One of the most exciting news of the year has to be the astonishing number of breakout new artists, from retro-Eighties sister act Haim, to Brit-folk prodigy Jake Bugg, to indie-rockers Parquet Courts, to post-punkers Savages to chart-topping 17-year-old truth-bomber Lorde. After speculation that ‘N Sync would return to the VMA stage for the first time in more than a decade, the audience was treated to a memorable reunion in the middle of Justin Timberlake’s extended Vanguard medley. On a sad note, many prominent music personalities left for heavenly abode. The departed souls included Lou Reed, founding member of Velvet Underground, Slayer guitarist Jeff Hanneman, Divinyls singer Chrissy Amphlett, founding Deftones bassist Chi Cheng, English dance vocalist and rapper Ricardo da Force of The KLF and N-Trance, American rapper of Kris Kross Chris Kelly, blues singer-songwriter and guitarist J.J. Cale, Iron Maiden’s English metal drummer Clive Burr, American rock organist and record producer of The Doors Ray Manzarek. The recent death of the South African anti-apartheid revolutionary, politician and philanthropist Nelson Mandela on December 5 shook the entire music industry. His legacy continues to endure in hearts and history books, and his ideals will continue to serve as inspiration in popular music. Some of the notable songs inspired by Nelson Mandela include U2’s Ordinary Love, Hugh Masekela’s Mandela (Bring Him Back Home), Public Enemy’s Prophets of Rage, Tracy Chapman’s Freedom Now and Johnny Clegg’s Asimbonanga. 2014. You’ve got a lot to live up to.